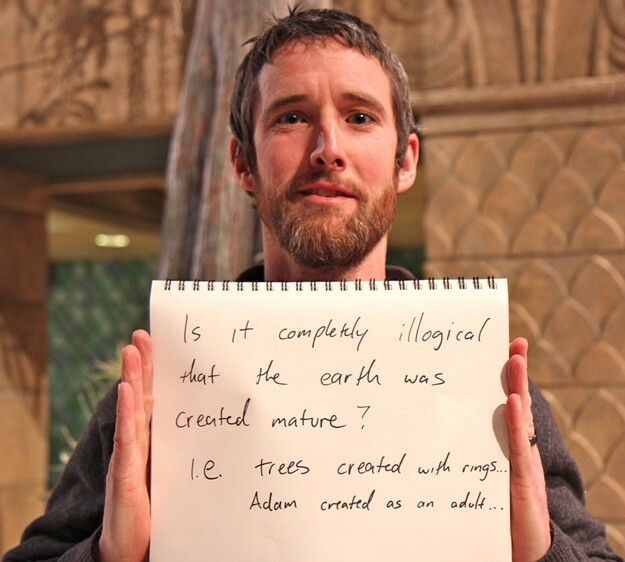 No snark, no sarcasm, no judgement, just the genuine, honest answers to 22 creationist messages. Image credit: Michelangelo Buonarroti circa 1511, via Wikimedia Commons user Artworksforever. 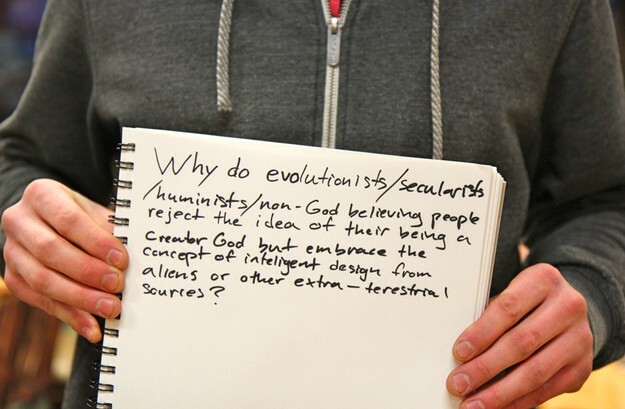 Yesterday, a two-and-a-half hour debate took place on the topic of evolution and creationism. Earlier today, I saw this Buzzfeed post being shared left-and-right everywhere I looked, which appeared to make fun of creationists by showcasing the “ridiculous-and-condescending” 22 messages and/or questions they had for people who believed in evolution. The thing is, if all you do is mock the people who disagree with you, you miss your chance to honestly engage with them, learn about where they come from, and — just maybe — teach them a little piece of something that they might not have known before. Now, I’m not a professional biologist; I’m a professional astrophysicist, for full disclosure, but when I saw these 22 messages, it made me think of a large number of young people I’ve encountered throughout my life in various schools, classrooms and educational situations. If these were messages posed to me, what would I say? Without further ado, here we go! Image credit: Matt Stopera / Buzzfeed. 1. 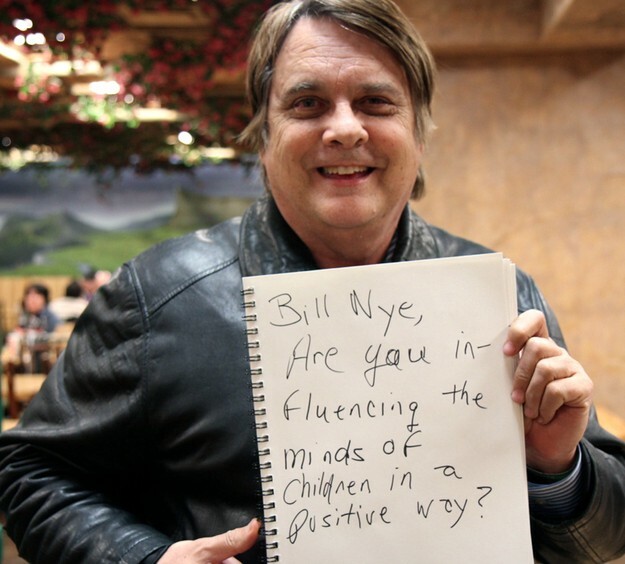 Are you influencing the minds of children in a positive way? It’s very tempting to demonize anyone who doesn’t share the same perspective or beliefs as you. I myself have been chastized by christians for not being christian, by atheists for not being atheist enough, by jews for not being jewish enough, by the cool kids for being too nerdy and by the outcasts for being too mainstream, and by people of all virtually all political leanings for not having identical political leanings to them. So when you ask me (and — confession — I’m not Bill Nye), I’ve always been of the mindset that no matter what anyone else claims, you can always ask the very powerful question: how do you know? Image credit: Steveo at http://tellyousomethingelse.blogspot.com/2012_05_01_archive.html. And if you can pose a question that can be answered by looking to the Universe and asking it questions about itself, you can not only learn what we know, but also how we know it. To empower someone like that — to teach them how to seek answers to whatever questions they may have — I can’t think of a single way in which that’s a negative influence. Can you? 2.) 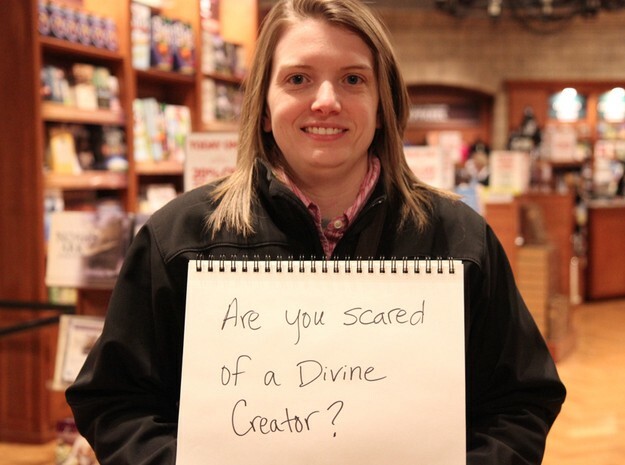 Are you scared of a Divine Creator? I think there is this idea out there that every scientist who doesn’t believe in the divine word of scripture thinks that science will eventually tell a complete, whole story of the Universe, including every aspect of where it came from and why. I am going to come forward and just say it right now: we know that is false. The Universe is vast — some 46 billion light years in radius — with at least 200 billion galaxies and around 10^25 planets, total, in just the part of it that’s observable to us. There are some 10^91 particles existing in the Universe right now, all of which were created some 13.8 billion years ago. But as big as these numbers are, they are finite. And because of that, so is the total amount of information present in the Universe accessible to us. We maybe able to extrapolate back to the Big Bang and even a little bit before, but the scope of what is knowable to us, even in principle, is limited. Image credit: Cosmic Inflation by Don Dixon. So I understand that I can never know for certain every aspect of where this Universe came from and why, and that whatever I cannot rule out, I must admit as a possibility, however much it defies my sensibilities. Although my conception of what a Divine Creator would have to be to create our entire Universe may differ from yours, I can conceive of one. Thinking about it awes me and maybe does scare me a little; there is a Greek word that springs to mind — δεινός — that very much encapsulates how I feel. When I was a child, after reading a particularly good Choose Your Own Adventure book, I remember having the idea that perhaps the Universe wasn’t as it seemed, and that the entire thing was created just for me at the moment of my birth. That everyone I knew who was older than me — my parents, grandparents, friends and other relatives — were created along with the rest of the Universe on the day I was born, with memories, feelings and experiences of their past that never really happened. It also occurred to me that, if this were the case, there would be no way to disprove it. But if I accepted this view of the world, there would be a great number of things I could never learn. 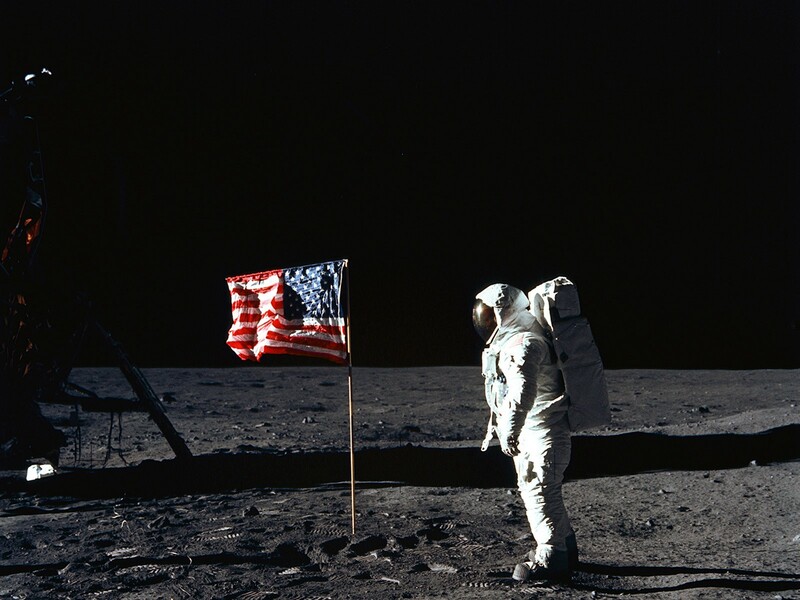 Image credit: NASA / Apollo 11. I could never learn about history before 1978, because it would all be a great fiction to me. I could never learn about biology, geology or astronomy, because my worldview would conflict with the evidence I’d get by asking the Universe about itself. It isn’t necessarily illogical to believe that the Universe was created in medias res, but it’s very limiting, and unnecessarily so. If ever an assumption of a 13.8 billion year old Universe conflicted with something we were able to observe and verify, I hope I would be among the first to question our assumptions. 4.) 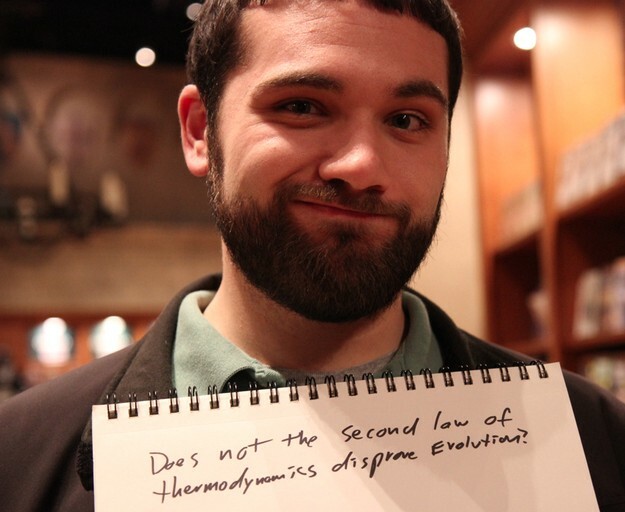 Does not the second law of thermodynamics disprove evolution? Very quickly, no. The second law of thermodynamics states that the entropy (a physically quantifiable and measurable entity) of an isolated system can never decrease. And I definitely understand that when you look at the total entropy on the surface of the Earth today — versus the surface of the Earth some 4.5 billion years ago — we clearly are in a lower entropy state today. Image credit: Christian Joore of http://kindaoomy.com/ (L), NASA (R). The question is: is the Earth’s surface, oceans and atmosphere an isolated system? Given that we receive energy both externally from the Sun, internally from the Earth’s core, and also a little bit cosmically from sources beyond our Solar System, the answer is no. In addition, we also radiate energy away, back out into the Universe. By all accounts, the Earth is not an isolated system. If it were — if we prevented it from absorbing or emitting any radiation or information with the outside Universe — only then could we apply the second law of thermodynamics to it. 5.) 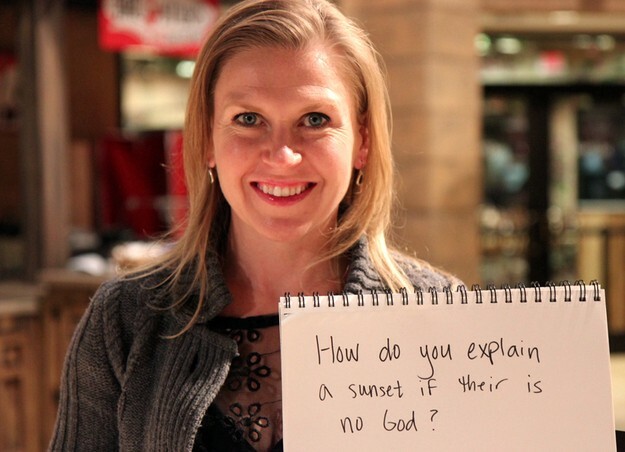 How do you explain a sunset if [there] is no God? I think this is an outstanding question. How can you explain the sunset, in all its beauty, without appealing to the divine? You and I may have differing opinions on what makes something beautiful, but you’d have to be someone I couldn’t understand at all if you said that the sunset didn’t fall into the beautiful category. 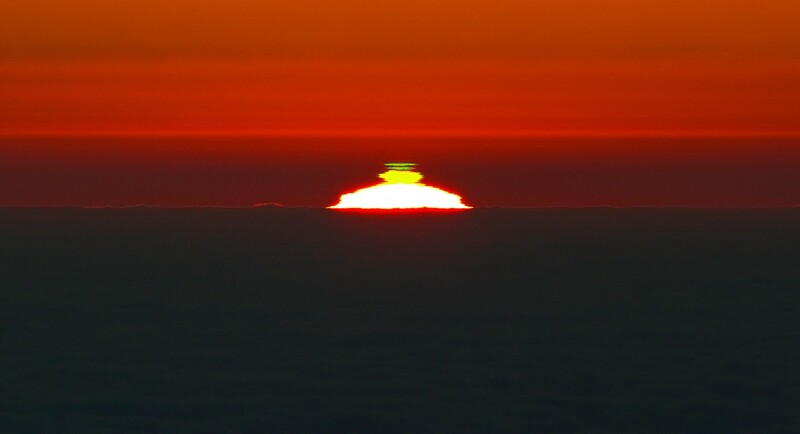 But this is something that science can explain quite wonderfully, including the different colors, gradations, atmospheric effects and visual illusions. To me, at least, everything is more beautiful the more you know about it. 6.) 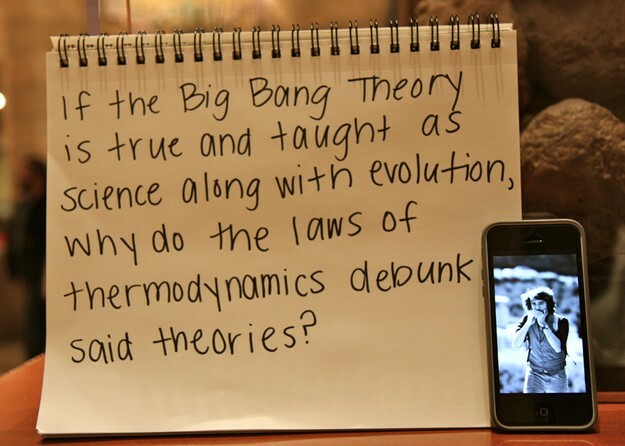 If the Big Bang Theory is true and taught as science along with evolution, why do the laws of thermodynamics debunk said theories? Now, we’ve already taken a look at whether the laws of thermodynamics disprove evolution in question number 4, above, and concluded that they don’t, because the Earth is not an isolated system. But it can be argued that our observable Universe is. So let us ask: has the entropy of our Universe, from the moment we could first describe it with the Big Bang Theory, ever had a moment where its total entropy decreased? The answer is no. The entropy is always increasing. With every nuclear reaction in the heart of a star, with every gravitational collapse, with every chemical bond formed or broken, when you take all of the initial-and-final products and reactants involved and look at them together, the entropy is not only increasing overall, it increases-or-stays-the-same for every single reaction. The laws of thermodynamics don’t debunk these theories, but instead make predictions about them and provide tests for them; that they pass these tests is in fact evidence that they are not invalidated. Now, I’ll confess, I had to look this one up. 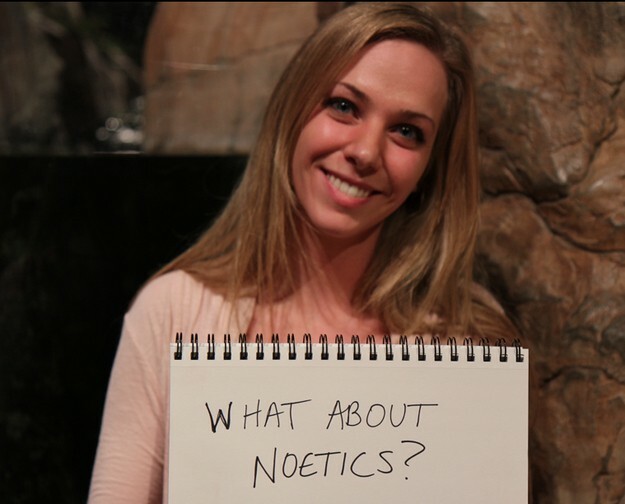 I had been under the impression that noetics was only something that Aristotle wrote about, but a little research shows that it’s actually about: “how beliefs, thoughts, and intentions affect the physical world.” Well, this sounds like an interesting question: do beliefs, thoughts and intentions affect the physical world? And if so, how? Image credit: screenshot from http://noetic.org/. If you want to show that beliefs, thoughts and intentions actually do affect the physical world, all you have to do is perform a repeatable, quantifiable and measurable experiment that shows that there is an effect. You don’t even need to explain how; you just need to show that there is an effect that you can measure and quantify, and that you can repeat the effect whenever you repeat the experiment. I don’t know of any experiments at present that do this, but if you can find (or perform) them, I’m open-minded. 8.) 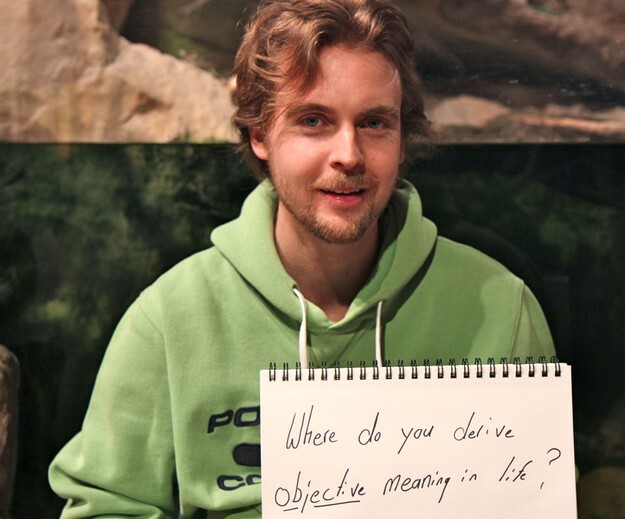 Where do you derive objective meaning in life? This is a tough one, and the first one where I’ll have to confess that I don’t think I do. In fact, I might even go a little farther and say that I don’t think anyone does. There may be an objective meaning to this life or there may not be, and I may believe there is an objective meaning or I may not. But whatever the case may be, I am unable to define it without being inside my own mind. How can I (or anyone, for that matter) truly be objective about my life’s meaning when I’m unable to conceive of my own life without experiencing it. As far as I know, my life had a beginning, it is going on right now, and at some point in the future, it will end. I don’t think my life had any objective meaning before I ever existed, and although I am sure that my existence has affected (and continues to affect) the Universe, I don’t know that that fact is objectively meaningful. I just know that the Universe is different than what it would have been without me. 9.) 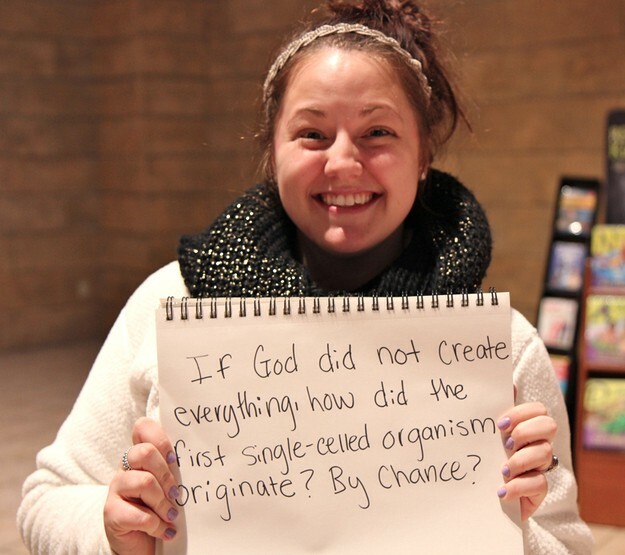 If God did not create everything, how did the first single-celled organism originate? By chance? This is a question where I’m proud to say “I don’t know.” Because it’s true: I don’t, but perhaps someday we will! You are asking one of the biggest questions of all: how did life come to exist in this world? And the answer is that — right now — we don’t know. 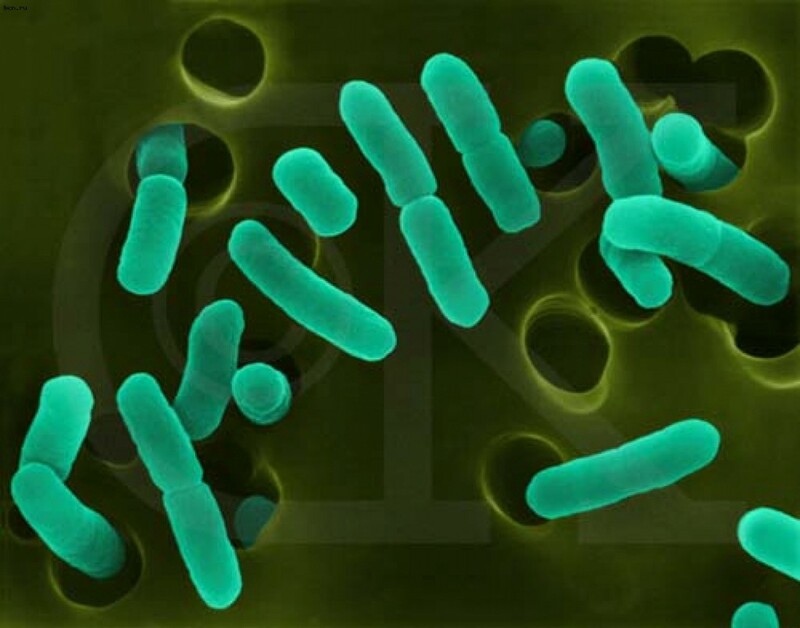 Image credit: E. Coli bacteria, retrieved from http://scitechdaily.com/bacteria-replicate-closely-to-the-actual-thermodynamic-limit/. But scientists are working on it. 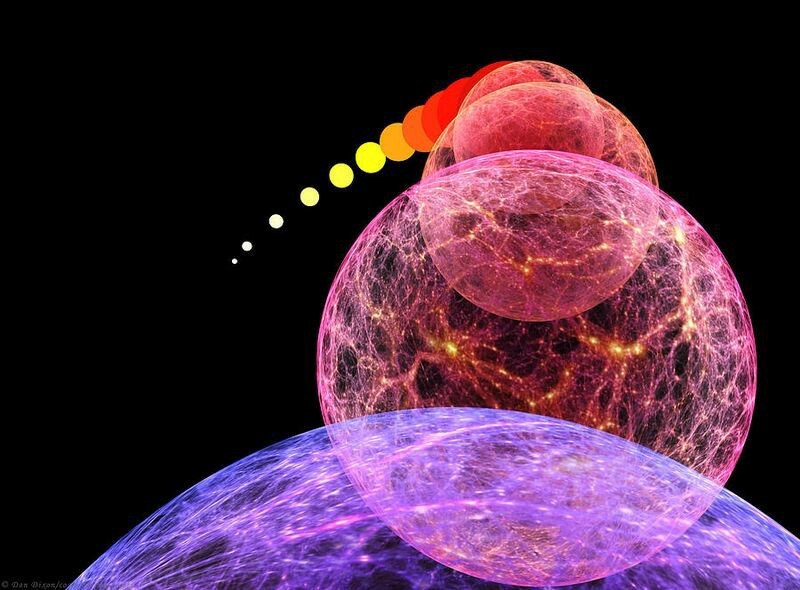 There’s a lot that we do know that’s related to that question, but the big one — how we went from non-life to life in the Universe — is still an open one. I hope I live long enough to be there when we figure this puzzle out; don’t you? 10.) 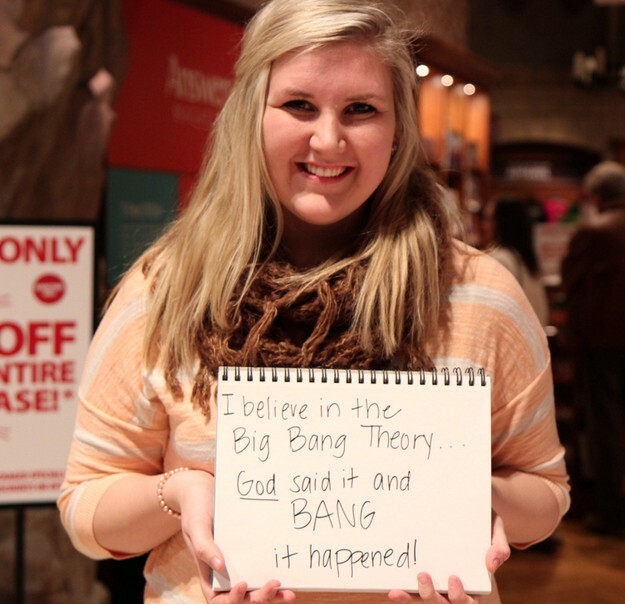 I believe in the Big Bang Theory… God said it and BANG it happened! One of the wonderful things about this existence is that no one can ever invade your own mind and force you to think or believe something against your will. As I wrote under question number 2, there are a great many things that we do know about this Universe, and there are still a great many more things that we know about the Big Bang. If you’re interested in learning what some of them are, I wrote a piece a couple of years ago on The Big Bang for Beginners, and I think it’s a wonderful introduction to the subject. 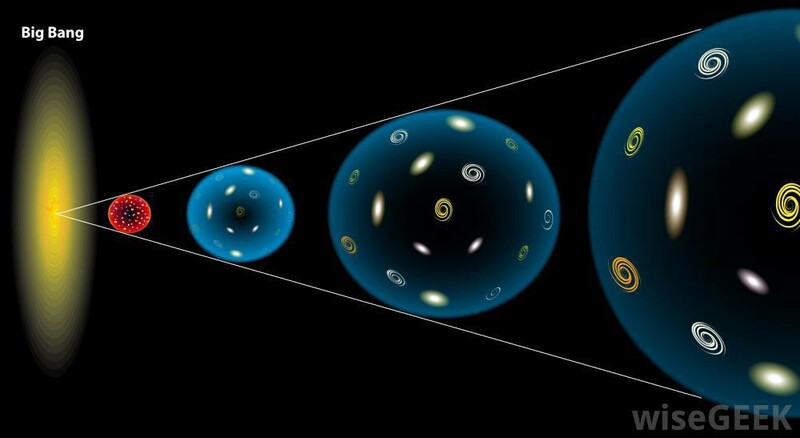 We think we know what came before the Big Bang, but we’re not sure what came before that. If you think that there’s a God there who made it happened, I have no evidence to disprove it, but I would ask you to ask yourself this question: is that the best explanation that we have, given the evidence? Or can we learn more by not making that assumption? 11.) Why do evolutionists / secularists / [humanists] / non-God believing people reject the idea of [there] being a creator God but embrace the concept of intelligent design from aliens or other extra-terrestrial sources? This is a pretty good question. In other words, could life have originated elsewhere in the Universe and then came to Earth? The answer seems to be absolutely yes. 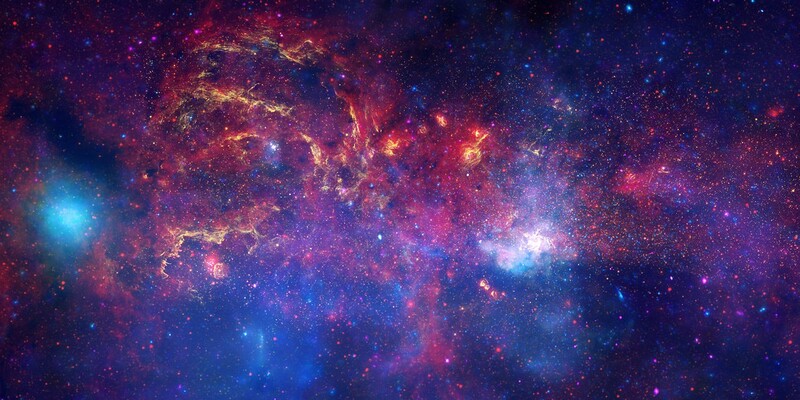 Let me show you a multiwavelength picture of the center of our galaxy, filled with the atoms-and-gas expelled from many generations of stars that no longer shine in our Universe. We find many “organic” molecules in here, created naturally and spontaneously. We find sugars, we find amino acids, we find polycyclic aromatic hydrocarbons. We find ethyl formate, the molecule that gives raspberries their scent. In short, we find a great number of the building blocks of life. If there are trillions of planets in our galaxy alone, wouldn’t it be unnecessarily restrictive to claim that aliens or other extraterrestrial sources couldn’t have existed in the Universe prior to life on Earth? Lucy, for those of you who don’t know, is a fossilized ape-like creature who lived roughly 3.2 million years ago. Lucy is classified as a hominid, and represents a significant fossil find — a 40% complete fossil — of something more human-like than any of our extant ape relatives, yet less hominid like than more recent evolutionary ancestors. Image credit: wikimedia commons user 120. For decades, Lucy was the only Australopithicus afarensis ever discovered, and the fact that the fossilized remains of even one such creature existed was seen as a remarkable serendipitous discovery. But then in 2000, the skull of Selam was discovered! Another Australopithicus afarensis, Selam lived about 120,000 years before Lucy, but this is definitely the same creature. There are many things we don’t know: is this an evolutionary ancestor or a mere “cousin” of humans? But hopefully, as more fossil discoveries happen into the future, maybe we’ll find out! 13.) 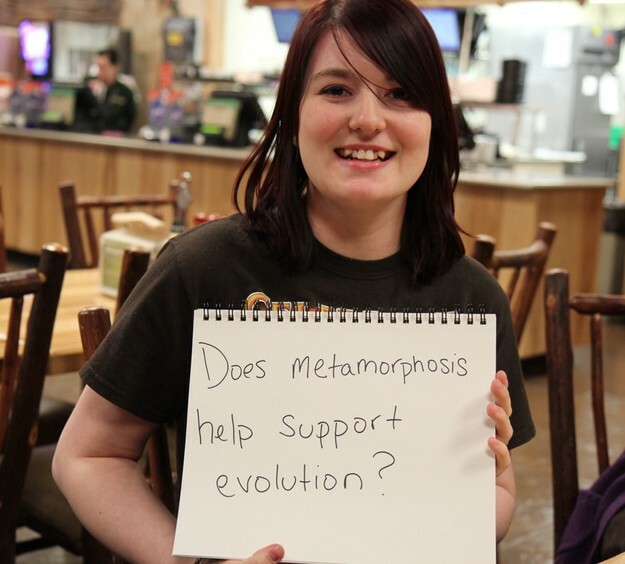 Does metamorphosis help support evolution? There are two meanings to that word “metamorphosis” that I know of, and I don’t know which one you mean. On the one hand, rocks can be metamorphic. Geologically, sedimentary rocks form in layers, as deposits build up over time. When creatures are buried in that sediment, they can fossilize over time, and given enough time, those rocks can metamorphose, usually destroying any fossils inside. In that instance, I’d say, no, metamorphosis doesn’t help support evolution; it’s a tremendous annoyance for fossil hunters. Image credit: Mary Holland, of http://naturallycuriouswithmaryholland.wordpress.com/2010/06/06/green-frog-tadpoles-turning-into-frogs-welcome-to-a-photographic-journey-through-the-fields-woods-and-marshes-of-new-englandes-turning-into-frogs/. On the other hand, some species undergo multiple life stages, such as tadpoles that turn into frogs, caterpillars that turn into butterflies, or larvae that turn into flies. Metamorphosis is simply how an organism develops and it can be easily understood in the context of evolution, although that is certainly not a required path for evolution to have taken. But there isn’t a conflict there; all of that information is encoded in the organism’s DNA. 14.) 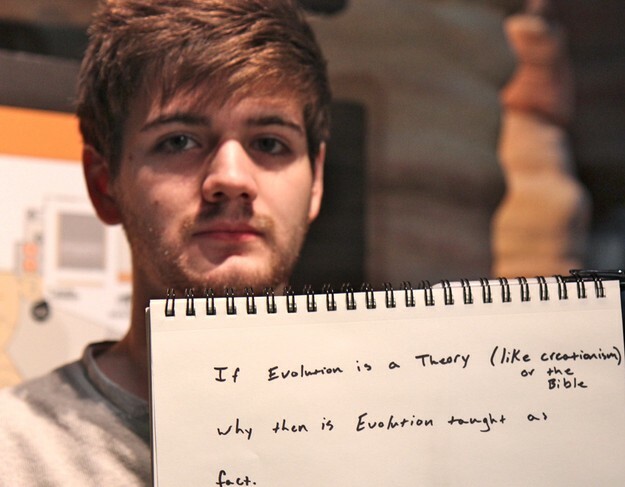 If evolution is a Theory (like creationism or the Bible), why then is Evolution taught as fact? 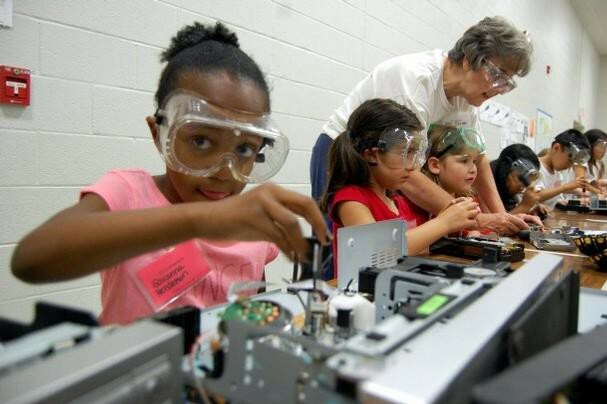 You need the data to support the foundations of your reasoning. You need the laws and correlations to build your theoretical framework atop them. You need a hypothesis or an idea of how it all fits together and can be explained by (relatively) simple principles. And finally, only if you have multiple lines of evidence and multiple tests and confirmed predictions, can you begin to rightly call your idea a theory. So although it’s true that absence of evidence is not evidence of absence, there is a burden of proof that must be met before we’re willing to promote an idea or hypothesis to the status of scientific theory. Once we’re there, however, we take the predictions of that theory very seriously, and are willing to consider not only the possibility but the probability that those new predictions — even the ones for which we do not yet have evidence — might be correct, no matter how assumption-challenging they may be. I recommend reading the whole thing if you want the full answer. 15.) 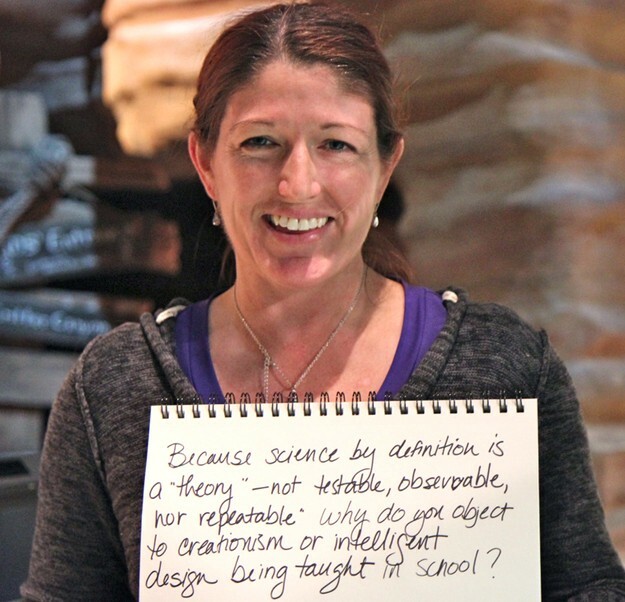 Because science is by definition a “theory” — not testable, observable nor repeatable, why do you object to creationism or intelligent design being taught in school? Scientific laws can tell you what’s going to happen under certain conditions, but they haven’t yet advanced to the point of a scientific theory. You see, a scientific theory is even more advanced than this, and posits an explanation and/or a mechanism from which scientific laws arise. And that’s where science can really show off its true power. You see, as the generations pass, living organisms give rise to subsequent generations of living organisms; that’s data. Those organisms are different in measurable ways from their predecessors; that’s the scientific law of evolution. But the mechanism behind it — that organisms have the information for their traits encoded in their DNA, that DNA mutates and (in the case of sexually reproducing organisms) combines from two parents to form an offspring’s genetic makeup, and that the least fit organisms for survival are selected against, naturally — that’s a scientific theory. Scientific theories are the deepest and most powerful explanations of how a scientific process takes place. The germ theory of disease is a theory; biological evolution is a theory; the atomic (and subatomic) theory of matter is a theory; and the theory of gravity is a theory. 16.) 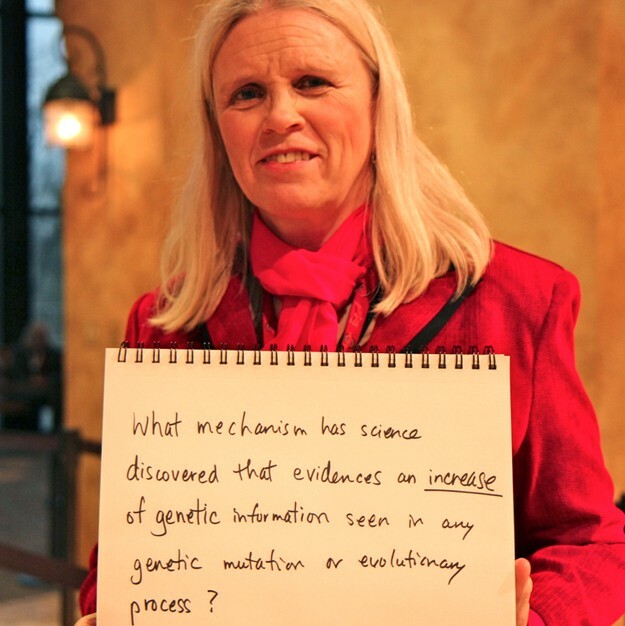 What mechanism has science discovered that evidences an increase of genetic information seen in any genetic mutation or evolutionary process? Have you ever made a photocopy of a document, and noticed some imperfections in the copy when you compared it to the original? How about photocopying a photocopy? Does it get worse? It sure does, and this is something that any imperfect copying technology will get you, from the JPEG file format to DNA. Image credit: wikimedia commons user Burny. Most of the time, genetic mutations have negative-or-neutral consequences; on rare occasion, they’re beneficial. But whenever you have a mutation that gives rise to a genetic code that didn’t exist before, that’s an increase in genetic information! In fact, genetic mutation is one of two key ingredients (the other being selection) necessary for evolution to occur. If you have them both, evolution is inevitable! 17.) 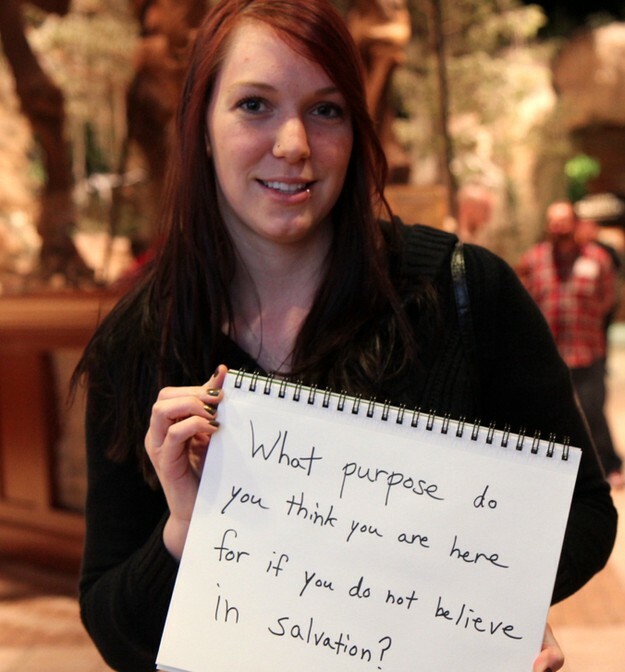 What purpose do you think you are here for if you do not believe in salvation? I promised to be honest with you in answering these questions, and in this case, that means I’m very likely going to give you an answer that you aren’t going to be able to relate to. I believe that the purpose of my existence is to increase the knowledge, understanding, and awareness that we have of the world around us, as well as the amount of kindness in it. I don’t know if that is a worthy purpose of an existence, or if it is the one that a divine being intended — if one exists and if that being has an intention for me — but it is one I have chosen for myself. If, at the end of my life, I discover there is some form of salvation, perhaps I will have earned it by living the best life I was able to live. If not, I lived a life true to the purpose I chose for myself. 18.) 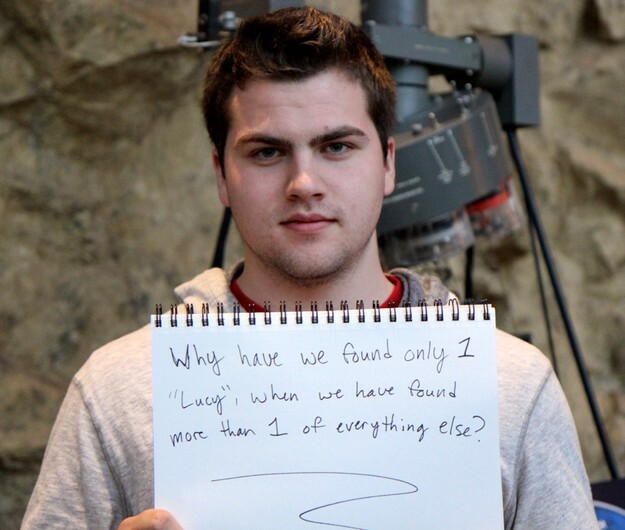 Why have we found only 1 “Lucy,” when we have found more than 1 of everything else? You and I haven’t met, but I am Ethan Siegel. There are many others with that name, but there is only one Ethan Siegel that is me. 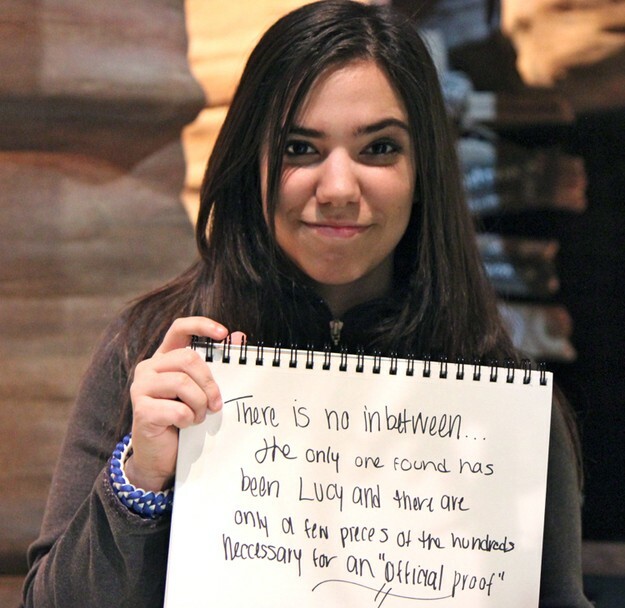 Whoever she (or he) was, there was only one Lucy as well. But as far as Australopithicus afarensis, there are at least nine known extant fossil fragments of that species. In fact, in 2011, new fossil evidence was discovered showing that the foot-bones of this species were more human-like than we had realized, and that it almost certainly walked upright. There is only one “Lucy,” but there are many Australopithicus afarenses, and I’m hopeful that there will be even more to come as excavations continue! 19.) 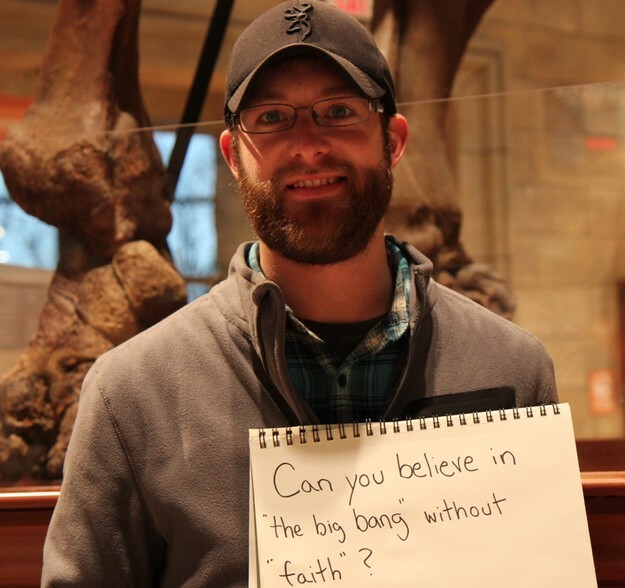 Can you believe in “the big bang” without “faith”? There is no doubt that I can and do “believe” things. Some things, I suppose, I do take on some level of faith, in that I have faith that other scientists who came before me were scrupulous in taking their data. That they reported their results accurately. That the people who repeated and verified their work subjected it to rigorous scientific scrutiny. And that the conclusions we draw from that body of evidence are going to continue to have their predictions borne out by experiments and observations. But if not, I am willing to change my conclusions. 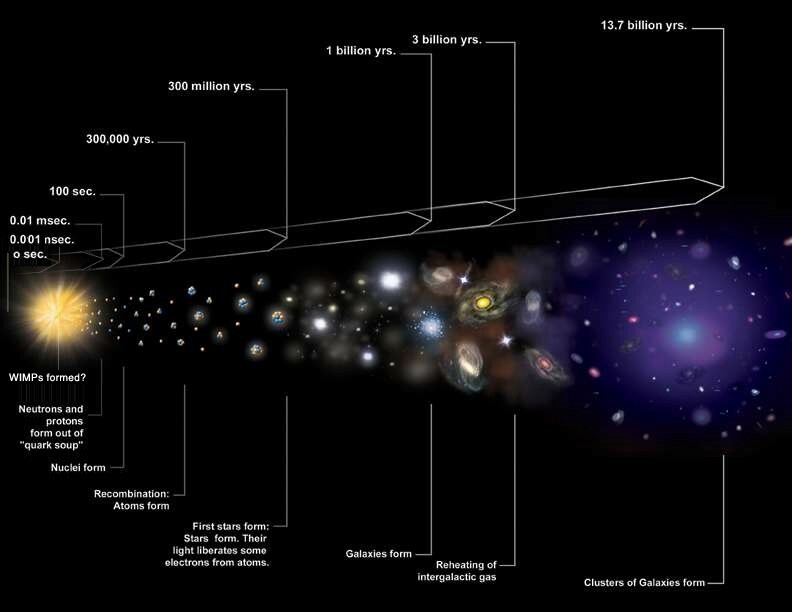 If bona fide evidence came in contradicting the Big Bang, if the Big Bang no longer described the Universe accurately, I would no longer believe in the Big Bang. It is possible to believe based on evidence alone, and to have a level of underlying uncertainty to your beliefs, where I can tell you exactly what sort of evidence could change my mind. I like to think that I “believe” all of the conclusions of science without “faith” in that regard. 20.) How can you look at the world and not believe Someone Created/thought of it? It’s Amazing!!! It sure is amazing; you’ll get no disagreement from me there. The thing is, there are so many things out there that are also amazing, I don’t want to detract from the wonder of those other worlds, those other solar systems, and surely those other life forms that are out there in the Universe. I don’t know for certain where it all came from, before the Big Bang, before cosmic inflation, but when I look out at the amazing Universe we live in, this is what I think of. 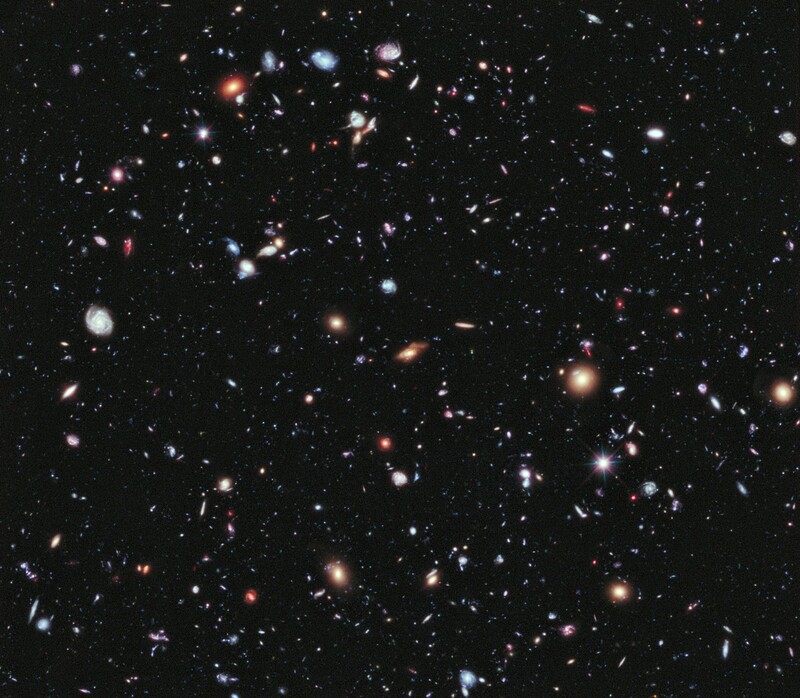 I think of the billions upon billions of galaxies out there, and the trillions of worlds that exist in each one. I think of the uniqueness and diversity of each one, and I wonder at how many of them have life, and whether any of them have intelligent life out there like us? I wonder if anyone over there is wondering about any of us over here? And I wonder if, someday, two lonely species of intelligent beings will ever journey across the distances between the stars and find each other. I don’t know whether it was designed to be this way or not, and I don’t know how we can know that. But I do know that in my time here, I want to figure out as much of what we can know as possible. I’d even bet that’s something we have in common. 21.) 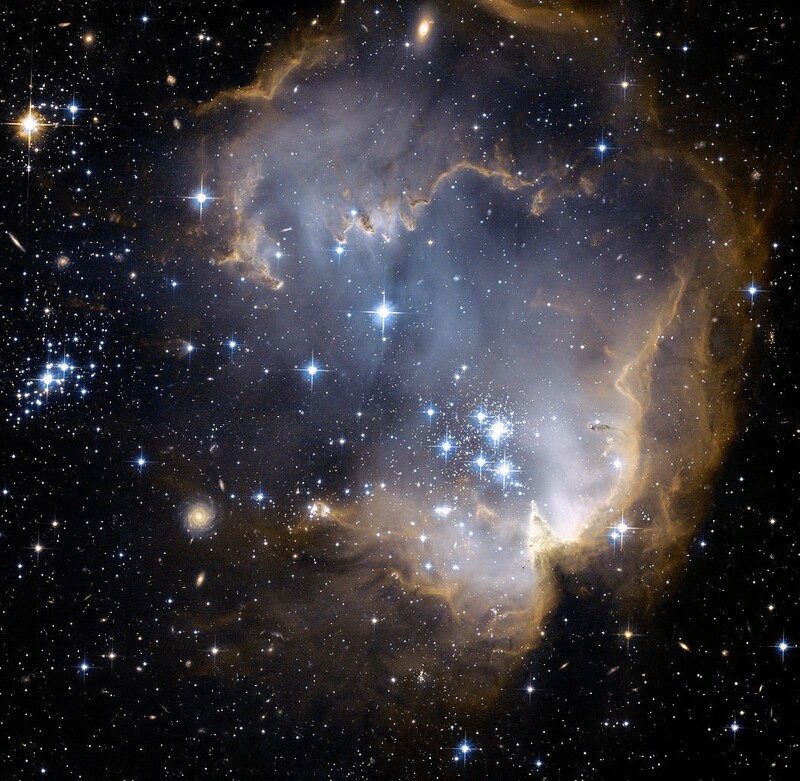 Relating to the big bang theory… Where did the exploding star come from? When you hear the word “bang,” it’s only natural to think of an explosion, isn’t it? 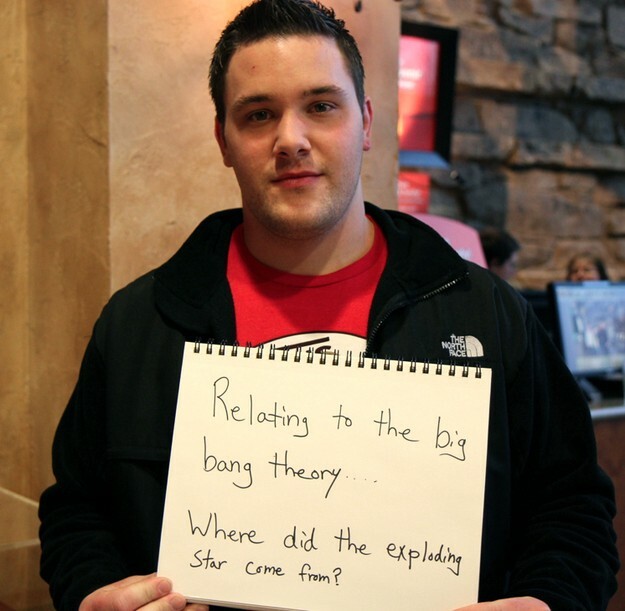 But the Big Bang is no such thing; it’s one of the most common misconceptions about it. There was no primeval star that exploded, but rather a rapid expansion of space itself, and a rapid cooling of all the matter-and-radiation present therein. This piece may help explain that a little bit; instead, may I suggest this as a more accurate picture. 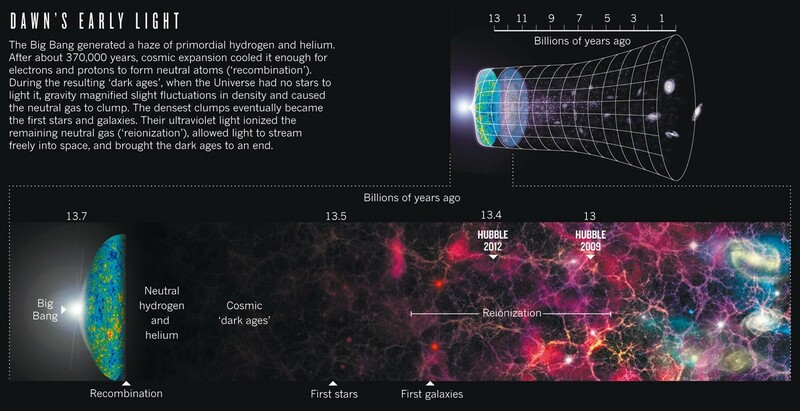 Image credit: WiseGEEK, via http://www.wisegeek.org/what-happened-after-the-big-bang.htm#. It wasn’t until many millions of years after the Big Bang that the first stars were able to form, and that came about due to gravitational collapse of the leftover matter from the Big Bang. It was when the most massive among them exploded that — for the first time — the Universe became filled with heavy elements. After generations of stars living and dying like that, there were finally enough to give rise to rocky planets, complex molecules, and eventually, life as we know it. 22.) If we come from monkeys then why are there still monkeys? 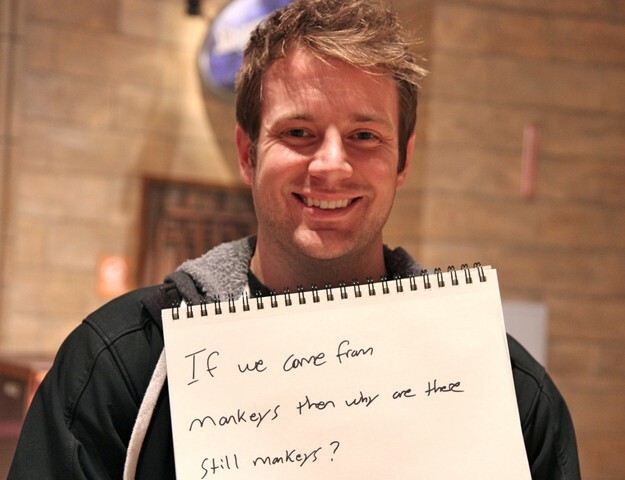 This is one of the most common questions I’ve seen about evolution. You might think that evolution is a picture where single-celled organisms turned into jellyfish, then into arthropods, amphibians, reptiles, mammals, primates and finally us. Well, that’s kind of true, but it’s more accurate to say that single-celled organisms gave rise to a diversity of descendents, some of which are single-celled organisms and some of which were multicellular ones. Of the multicellular ones, some of those gave rise to jellyfish, while some of those gave rise to animals with spinal cords. Of the ones with spinal cords, some of those gave rise to amphibians. And so on. Evolution isn’t a linear progression, but a complex structure with many branches. Image credit: Leonard Eisenberg, 2008, via http://evogeneao.com/. The monkeys that existed millions of years ago evolved into both modern monkeys and modern apes, and the apes that lived just a few million years ago evolved into the modern great apes as well as — very recently, evolutionarily speaking — modern humans. And that is what I’d have to say to any creationists who had any of these questions for someone who believed in evolution. I hope you enjoyed it!